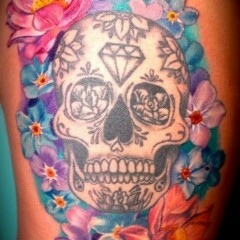 Roses are a popular complement to skull tattoos, and this tat includes a black and grey skull tattoo surrounded by two red, yellow and green roses. 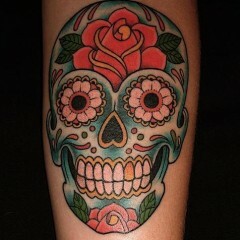 The bottom jaw is missing from the skull tattoo, but the image is still very fierce, with numerous cracks reaching across the top of the skull’s head. 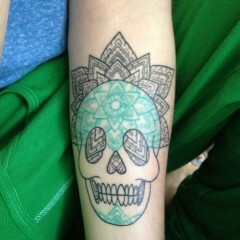 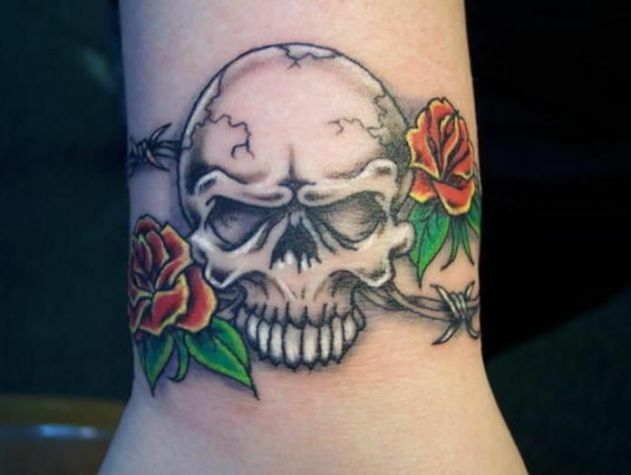 In addition to the roses, there is also some pretty nasty looking barbed wire included in the skull tattoo design.